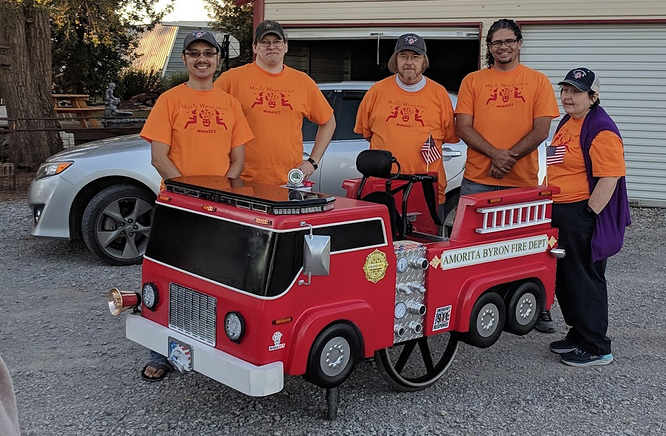 We finished our EPIC MAGIC FIRETRUCK WHEELCHAIR for a boy who was very thrilled to have the best halloween costume ever! 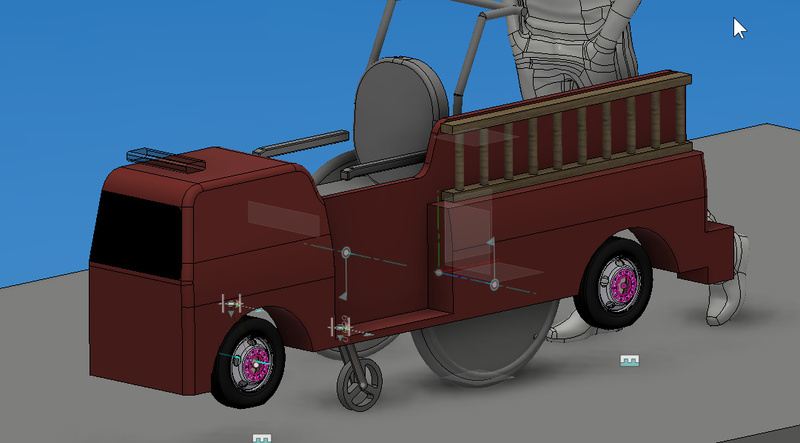 Thank you to everyone who worked on the wheelchair! It’s time to appoint 2019 area leads. To help out in your favorite area, sign up here. Can you make us ten holiday ornaments by Thanksgiving? Win a $50 MakeICT gift card in our Holiday Ornament Challenge. Thank you to the amazing ceramics artists who helped stamp out hunger at Wichita’s annual empty bowls event! 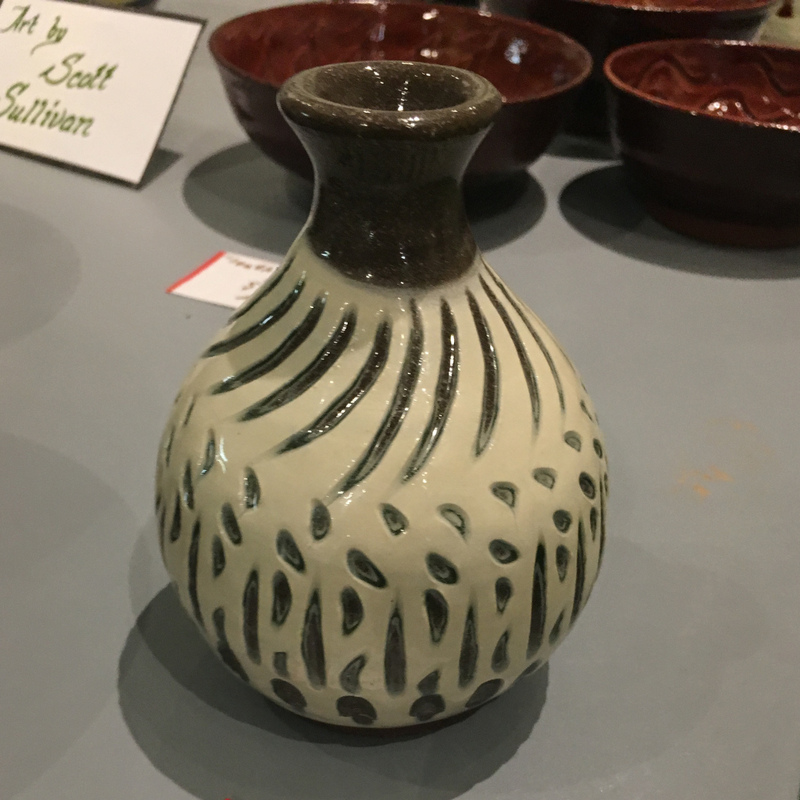 Featured makers of the month are Brian Norton in October and Krissie Lagana in February. Makerspace tourism is all the rage. If you’re traveling to a distant city, check out their makerspace and tell them hello from MakeICT! Members reported in from Reno, Nevada and Anchorage, Alaska this month. Want to share your projects? Sign in to our forum or post to our facebook page. Happy making, Wichita! Finalize your donation for our 2018 Art Auction.on September 28th. Items will be on display starting the week before and bidding ends on Final Friday. Spread the word for our biggest fundraising event of the year. We have big items to talk about at the September 16th Quarterly Meeting. First, we have an open board member spot. We are accepting nominations and a vote will be sent out if more than one candidate accepts. Second, we will hear from the new building committee about possible new homes for MakeICT. We do not have a proposal ready for you to vote on, but activity around our future is happening fast and we need you involved. Moving is a big deal that cannot happen without a vote of the membership behind it. Speaking of being involved – committee signup is happening now. Whether you want to lead or just participate in a committee, please sign up! We will assign leads at the September 20th board meeting and leads will recruit their members from the signup list. Open Streets is Sunday September 23rd and we would love to have you volunteer! We’ve started a Chili for Charity team. Staff a booth and hang out with us on September 22nd. There is a monthly creator challenge to see who can make something amazing with just a pair of 2x4s by the end of September. This month’s featured maker is ceramics contributor Michelle LeFavor. As always, tell us about your projects in the forum and have a wonderful month of making! Our latest featured maker is woodworker Allan Bacon who makes amazing live edge tables and mixed media pieces. Read about Allan’s story on our blog. Happy springtime, Wichita Makers! I hope everyone is enjoying the weather and all the great things Wichita has to offer when the weather gets warmer. We have so much going on that this newsletter has a lengthy table of contents. I know there are a lot of places to get news about our makerspace, but this is the place where I really try to condense everything for one-stop-shopping. Ready? Can you help kids make brushbots and structures? Do you want a free riverfest button? 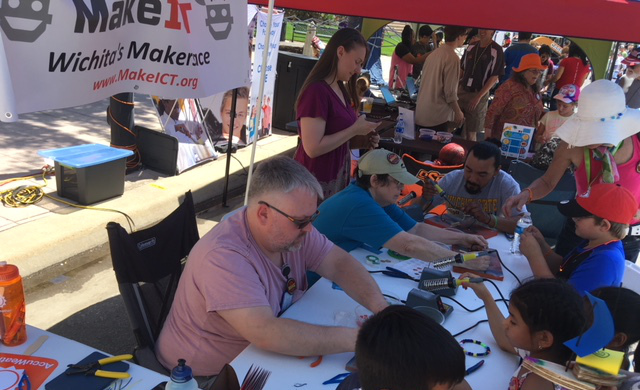 Volunteer at MakeICT’s kids corner and STEAM city tables! There is no experience or prior knowledge needed, we’ve got everything ready to go. We need volunteers every DAY between June 2-9, mostly in the evenings after 5pm. View the full schedule and sign up on our forum. Want to work on our famous electric bus? We’ll be meeting Sunday May 6 at 4pm to discuss the history, status, and fate of one of our original group projects. If you can’t attend but have questions or thoughts, post those in our forum thread. Otherwise we will see you Sunday. 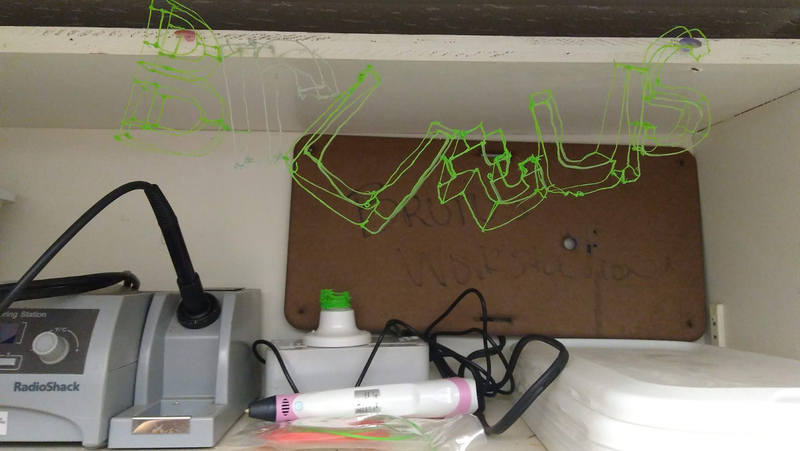 We’re tired of hearing about plastics filling up landfills and killing wildlife, especially in our oceans, so we’ve been really happy to see MakeICT members from Five For a Change creating a plastics shredder to reclaim the plastics we keep throwing away. Their next meeting is May 6 at 4pm at the makerspace. For details visit fiveforchange.org. MakeICT’s Toastmakers club has been meeting to help creative people communicate ideas and overcome public speaking fears. It’s been an awesome year, we learned a ton and met some great people, but we did not quite get to the required 20 members to charter our own official Toastmasters club. That’s okay! We’ll be celebrating our accomplishments with one last demo party on Sunday May 20 at 7pm. Of course, if we accidentally somehow get several more members before our deadline we’ll keep meeting. Join the toastmakers facebook group to learn more. May’s gallery theme is about the things we make at classes, but your work doesn’t have to match a theme. If you complete a project, give it some time in our gallery. Sign up on our forum. Need a kiln, saw, 3D printer or a door? 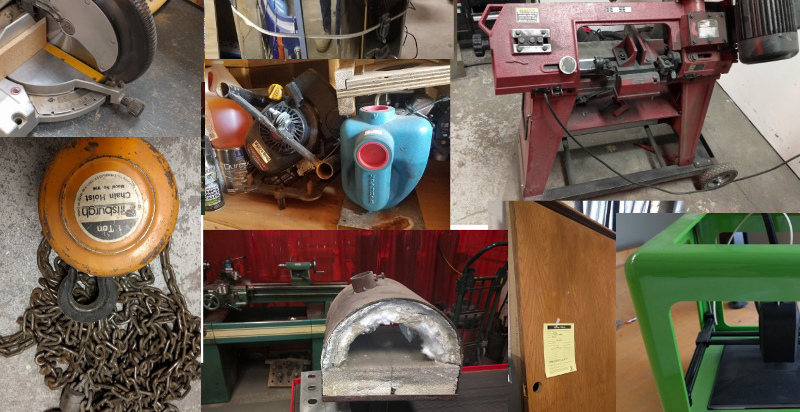 Bid on these and lots of tools at our surplus auction. Bidding ends May 8! Learn more or submit your bids on our forum. We need volunteers to help install outlets. Sign up at our volunteer page or contact safety@makeict.org. Tune in next month as several members jump on the train to the Nation of Makers Conference! Our spots are filled but I wanted you all to know MakeICT will be represented very well at this first conference on June 9-10. Our treasurer David Springs is one of the hardest working volunteers at the space so please make his job easier by only depositing money in a filled out payment envelope. They are scanned in as business records so when someone doesn’t use one, he has to guess what the money is for and fill out the envelope for you. Payments might be returned to members if the envelopes aren’t properly filled out and could even delay your membership renewal. June will be a busy month for us as we elect new officers. A special email will go out when we announce our annual meeting to be held the weekend of June 16-17. Officer nominations will be accepted starting around May 18. With the Douglas construction in front of our space complete we have a lot more clearly marked parking spaces by our space. So remember to park on the street and not our neighbor’s parking lots. Do not park in Poorman’s lot, either in front or back, or at the starter shop next door. Makerfaire is just around the corner! Visit wichita.makerfaire.com/ to try for a last minute booth spot or sign up to volunteer. MakeICT brought a wind tunnel to this year’s SWE Engineering Expo to let kids test their own paper airplanes or other objects and learn about lift. Special thanks to our wind tunnel builders lead by Barb Davis and Mike Hutton, and to Jim Hammer, Tom McGuire, and Jace Francis for staffing our booth all day! Hello Makers. Our quarterly member meeting will be Saturday March 24th from 6-7pm at the makerspace. 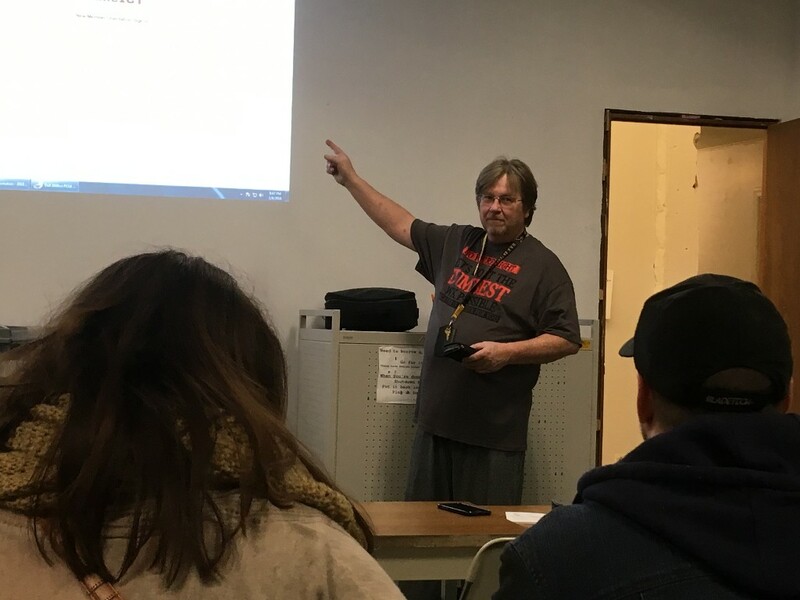 We wanted to dedicate this month’s quarterly meeting to a safety standdown. We have some business, but first up will be brainstorming about what we can do to make our space as safe as possible. All of your leaders have been doing homework leading up to this. We’ve consulted with experienced members of the community for guidance and have already started making changes based on that advice. For example thanks to David Springs, all of our fire extinguishers were serviced and given renewed inspection tags. We’ve been posting safety-based questions all month at talk.makeict.org for you to answer, and there’s a survey for anonymous feedback about your experiences around safety. Finally, we appointed Mike Barushok, long time member, leader, and wikibrarian, to be our safety committee lead. You can contact him at mikeb@makeict.org with questions or concerns. Did you know that MakeICT teaches at least five classes a week? With everything we teach, I wanted to take some time to sit down and talk about opportunities to improve, measure and focus on our educational program. Second, you’re all invited to our education program town hall meeting on Monday April 2 at 7pm. We’ll talk about success, share ideas for improvement, and make sure our classes are the best. If you have a friend who’s a teacher or educator, this would be a great thing to invite them to. Click here for the facebook event. Third, as always if you’d like to teach a class our teach a class form does a great job leading you through the requirements. Share what you know! Currently the MakeICT board of directors is elected every June. Every seat is up for election, so every year we could have a whole new board. This is very unique for a non-profit organization. We love fresh energy and uniqueness, but as our organization grows, serving on the board comes with a big learning curve. I know as president I barely had my feet under me for the first 3-4 months. I’m now starting to feel like I know the board and my job a lot better, but guess what, three months until it’s a new election. So we’d like to grant the next board a sense of stability and offer up a structure with at least two year terms. Rather than vote for a potentially whole new board every year, you’ll vote for half the officers every year, with the other half staying around to bring them up to speed. It’s a small change, but one that will grant us a lot of stability. This change to our bylaws will be presented at the quarterly meeting on the 24th and voted on electronically by the eligible members. You can weigh in with your thoughts ahead of time here in the forum. Thank you MakeICT members for getting us to a place where we could order our second laser cutter! Last month I told you our budget was $2000 short of the full cost, this month our pledges and fundraising have us there. If you pledged, please go ahead and make your donation. You can either bring it to the makerspace or use the laser cutter fundraising button at makeict.org/donate. Our laser cutter will be on a boat for a while so stay tuned for news about its setup and availability. If you didn’t pledge and would still like to donate, we’d really appreciate it. The full cost of the laser is over $5000, so if we keep fundraising up to that, we can re-allocate that budgeted money for other equipment. Thank you so much! Members, We are preparing to purchase a second laser cutter. We are specing a more powerful 90-100W laser with a larger bed size 51” x 35” (1300mmx900mm). This will allow us to cut 48” sheets of material easier. The projected cost estimate will be $6000 for the laser, shipping, upgrades, installation, and taxes. Our MakeICT budget for the laser purchase is $3800 plus members have pledged $800 to the laser cutter so far, so we are 40% of the way. That leaves us with $1400 dollars to go. We are working out the details with the manufacturer and would like to purchase the laser cutter in early March. To make that happen we need your help to raise the remaining amount. If you have ever had to wait for the laser now is your chance to pitch in and make it happen. It only takes 24@50, 12@$100, 5@250. Everyone can help us towards our goal. If you have projects or a business that depends on the laser here is a way to protect yourself from being without it for an extended repair. If you would like to help us get to our goal of a second laser please send me an email to fablab@makeict.org. We’ve talked for a while about leaving our google group for something better and now it’s time. Check your email for an invite to talk.makeict.org. This new forum uses Discourse – open source forum software that lets us have categories, embedded images, website previews, ranked topics and many more important features. If you don’t like visiting a webpage, don’t worry you can still interface through email. If you have any questions contact it@makeict.org or fill out an invite request through makeict.org/forum. Save the date for our next quarterly member meeting on Saturday March 24, 5pm – 7pm. Agenda is being worked on and we’re happy to hear your suggestions. Our ongoing member survey has been updated with questions for this year: what do you want your leadership focused on? Is there any place you wanted to help out, but weren’t sure how? Help us understand what you need by filling out our survey at bit.ly/makeict55. Are you a fan of our metalshop? 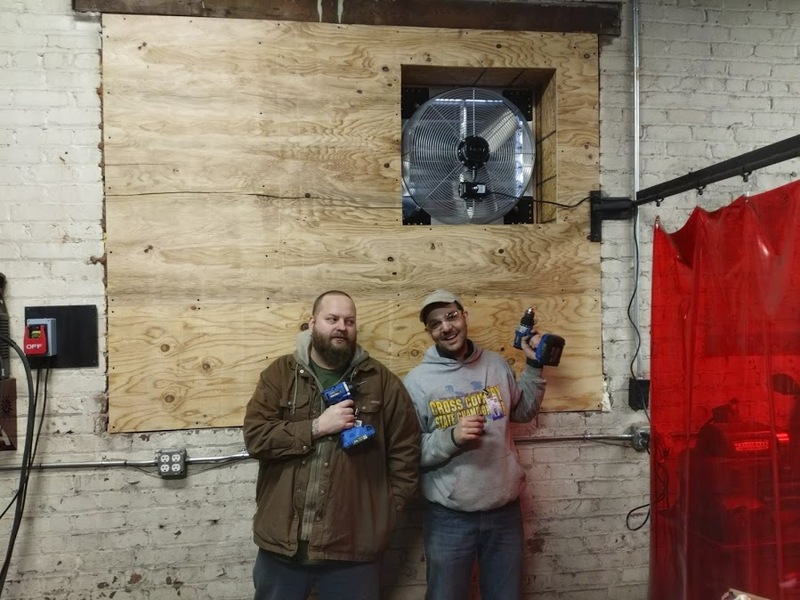 Thank Paul and Jeremiah for the ventilation improvements! Next safety class is January 31. January has a 5th Monday and this year it coincides perfectly with Kansas Day! Join us at 7pm on January 29 to make Kansas art, color laser cutter ornaments, and show off our makerspace for this public event. Invite all of your friends to our facebook event and we’ll see you at the makerspace. Do you have a suggestion for next month’s featured maker or project? Shoot me an email (kim@makeict.org) – especially if you’ve got photography skills or could help with a write up. 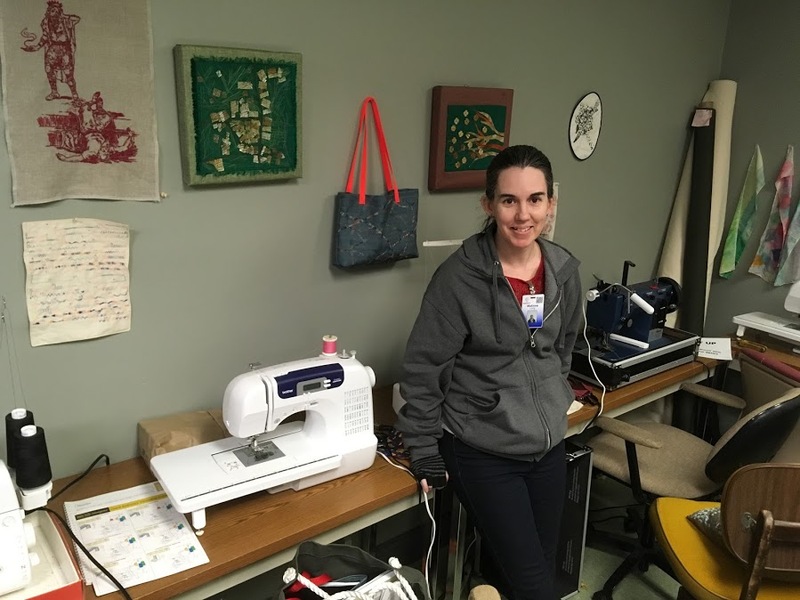 Our blog is a great place to give new visitors an idea of what goes on at our makerspace! We are going to have an awesome holiday party in conjunction with our maker member meeting on Monday December 18th at 7PM! To fully appreciate this event you should definitely read the entire event description at the facebook event, but in a nutshell: #OhMGE seasonal activity! Bring a $10 gift, wear a festive sweater, sign up to bring a snack, bring a friend! Wondering what to get the creative Wichitan in your life? How about a MakeICT gift card? Visit makeict.org/gift-memberships to read how you can give the gift of making! Our committee sign up sheet is a great ongoing way to get involved in the space. We’ve had leadership positions open up for the Special Projects committee, and we’re forming new committees for Decluttering and New Building Selection. The sign up sheet helps us collect interest so we can appoint the right people to these important teams so let us know what you’re interested in. Our 2018 area leads have been chosen – thanks to everyone who volunteered! The list of names is here: Area Leads Appointments. If you’re passionate about an area, talk to the new area lead about how you can help. Many of them are appointing assistants or would just like your feedback on how to improve our makerspace. I’d like to extend a huge thanks to our 2017 area leads – you make the makerspace what it is! Do you have a photo badge? December is the season of giving and we have been hard at work! Our woodshop elves, consisting of MakeICT and Sunflower Guild members, made 163 toy trucks for distribution by Salvation army last Thursday the 14th. Several volunteers helped at Wichita’s Alternative Gifts market to raise $529 for Egyptian Zabbaleen recyclers. We hosted a girl scout ornament making workshop where dozens of girls learned graphic design to make their own laser cut ornaments. To get involved, stay tuned in with our forum! As always, check out our calendar for everything going on at the makerspace because it is too much to list. 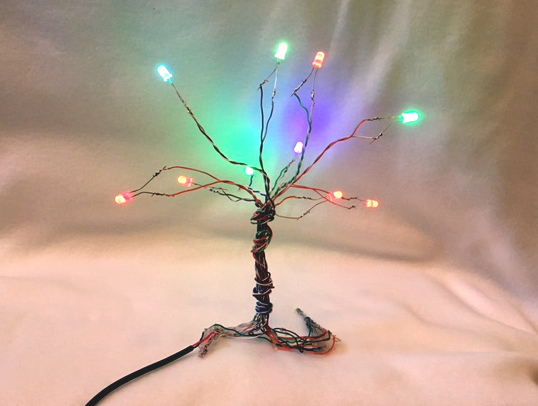 James S has an exciting Saturday of electronics workshops planned for November 18th, get your welding classes in before the holiday rush, drop in with the Wichita Drone Club and as always, come tell us what you’re making at Maker Monday.